Bankruptcy laws generally protect distressed people and businesses that can no longer pay their creditors. In the United States, bankruptcy laws are placed under federal jurisdiction as stated in the United States Constitution (in Article1, Section8), allowing the Congress to enact “uniform laws on the subject of Bankruptcies throughout [all] the United States [districts].” Its implementation, however, is realized depending on the different district state laws. Nevertheless, much of the relevant statutes are already incorporated within the Bankruptcy Code, located at Title11 of the United States Code. Other statutory bankruptcy laws are found in Titles18 (crimes), 26 (internal revenue code) and 28 (judicial procedure) of the US Code. An estate consists of all property interests of the debtor at the time of the filing, and which are subject to certain exclusions and exemptions. This may also include other items, including (but not limited to) property acquired by will or inheritance within 180 days after case commencement. In the case of a married person in a community property state, the estate may include some community property interests of the spouse even if the spouse has not filed bankruptcy. Under the revised bankruptcy laws (1984) the bankruptcy judges in each judicial district function as a US bankruptcy court, a ‘unit’ of the US district court. Formally, each district court ‘refers’ practically all bankruptcy matters to the Bankruptcy Court. Yet in rare circumstances, a district court may in a particular case ‘withdraw the reference’ or take the bankruptcy case away from the Bankruptcy Court and decide the matter itself. Decisions of the bankruptcy court could be generally appealed to the District Court, and then to the Court of Appeals. However in some jurisdictions, a separate court called a Bankruptcy Appellate Panel composed of bankruptcy judges hears particular appeals from bankruptcy courts. Creditors might race to the courthouse to improve their positions against a debtor, yet a protective automatic stay is imposed at the moment a bankruptcy petition is filed. This generally prohibits the commencement of actions, judicial or administrative, against a debtor for the collection of a claim prior to the case. The stay also prohibits collection of property of the estate itself. A secured and court-permitted creditor, however, may be allowed to take the applicable collateral. Permission may be granted by filing a motion for relief from the automatic stay. Stay-relieved secured creditors may look to the property that is the subject of their security interests. Security interests are considered liens on the property of a debtor. Yet, there still are unsecured creditors – the unsecured priority creditors and general unsecured creditors. In some cases, the debtor’s estate assets are insufficient to pay all priority unsecured creditors in full, and the general unsecured creditors receive nothing. An individual debtor (not partnership/corporation) may claim certain items of property as exempt property and keep those items (subject, however, to any valid liens). The individual debtor is allowed to choose from a Federal list of exemptions. In states where the debtor is allowed to choose between the Federal and state exemptions, the debtor can choose the rules that most fully benefit him or her. 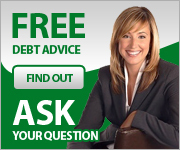 The debtor’s discharge is available in some but not all cases. For example, in a Chapter7 case only an individual debtor (not a corporation/partnership) can receive a discharge. The discharge also does not eliminate certain rights of a creditor to setoff/offset certain mutual debts owed by the creditor to the debtor. 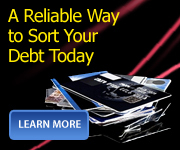 Not every debt may be discharged. Certain taxes owed to Federal, state or local government, government guaranteed student loans, and child support obligations are not dischargeable. (Guaranteed student loans are potentially dischargeable against the lender). Bankruptcy laws relating to prosecutable bankruptcy fraud and other bankruptcy crimes are found in Sections151-158 of Title18 of the US Code. The proceedings of these bankruptcy laws are covered under Title 11 of the United States Bankruptcy Code and are adopted by each bankruptcy court.